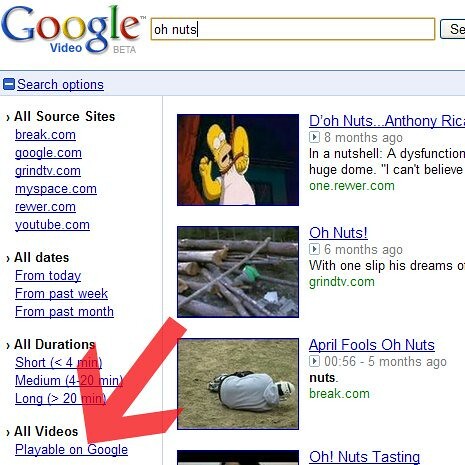 There are complaints and a statement from Google over the fact that Google removed the search filter "Playable on Google" on Google Video. The complaints can be seen in this Google Web Search Help thread. Now, it is no longer there and will not come back any time soon. We appreciate your thoughts on the old "Playable on Google" feature. We have no plans to restore it at this time, but your feedback means a lot to us and we will keep it in mind as we develop new features for Google Video Search. So there you have it - it is gone.